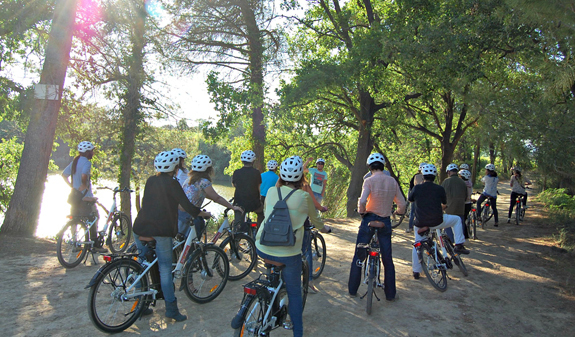 A bike trail awaits you close to Barcelona, in the Penedès region. 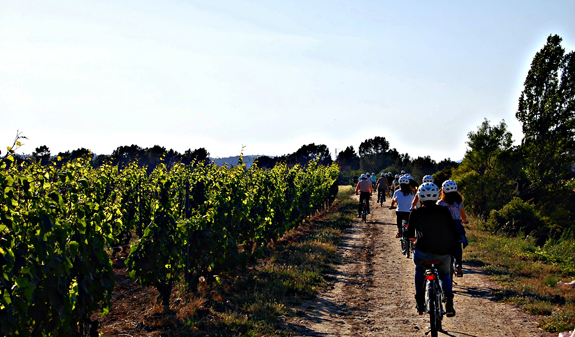 You'll ride among the vines, visit a family-run winery and taste the finest wines in the region. The Penedès region is tucked away between the big cities of Barcelona and Tarragona. Here the fertile soil has created some of the best vineyards in Catalonia which produce some of the country's most widely acclaimed wines and cavas. 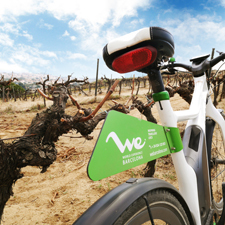 We invite you to enjoy the landscape on two wheels, visit one of the most famous family-run wineries in the area, and taste some of their finest wines. There are whites, rosés and reds made from unique grape varieties such as Xarel·lo, Macabeu and Parellada. If you want to spend the whole day you can enjoy a delicious lunch consisting of the finest local dishes where there'll be no shortage of poultry, xató (curly endive salad with a red pepper and almond sauce), coques enramades (sardine flatbreads), good wine and traditional cakes, such ascarquinyolis (biscotti) and bufats (almond biscuits). You'll also be able to visit another winery and taste three of its finest wines. Bicycle trail through the vineyards in Subirats. Bicycle hire (you can also hire an electric bike) and English-speaking guide. Guided tour of the family-run wineries and tasting of three of their wines. The full-day option also includes: lunch at a restaurant serving traditional fare, guided tour of a second winery and tasting of three of their wines. Times: Tuesday and Friday (except public holidays) throughout the year at 10am. 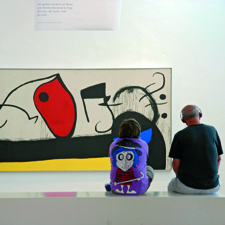 Length: Half-day option is 3 hours 30 minutes and the full-day option 7 hours. 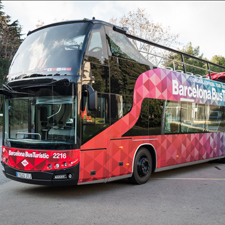 Meeting point: Lavern-Subirats railway station (50 minutes from Barcelona). Renfe suburban rail services (Renfe Rodalies) line R4 departs from Arc de Triomf (Metro L1), pl. Catalunya (Metro L1 and L3) and Sants (Metro L3 and L5). We recommend you hire an e-bike if you prefer an easier cycling experience. Small groups (no more than 15 people) to guarantee a personalised experience.